What’s the Real Story Behind Home Land Security Shutting Down Hip Hop Websites? Over the Thanksgiving Holiday something very disturbing took place… Homeland Security along with ICE (Immigration & Customs Enforcement) , the Department of Justice and the National Intellectual Property Rights Co-ordinating Center seized over 80 websites including popular Hip Hop websites RapGodfathers.com, dajaz1.com and Onsmash.com. These Hip Hop sites were accused of copyright violations, which is crazy, because their popularity rested in the fact that they mostly worked with artists to promote their work and help establish a buzz. Was there anything on those sites in violation of copyright law? The nature of any music site as robust as the ones mentioned, is you will inevitably find material. It might come in the form of someone posting a song on a message board or a video clip from a concert. It might be a link to a third-party site where folks can download a song, which was the case with the aforementioned sites. My experience over the years has been oftentimes its the artists themselves coming to sites asking for their material to be posted while the labels which also own part of the copyright objects. In most cases if a site wasn’t blowing things up too much, most industry folks didn’t trip. in talking with label heads they note that in most cases if a song or material was being highlighted prematurely or jeopardizing upcoming promotions a letter, email would be sent out or a phone call made asking for the files or links to be removed. Most sites comply without too much fanfare. It’s the way things have been done for years. It’s the symbiotic relationship that has long existed with record labels and media. It’s important to note this practice of labels asking media outlets to stop playing or highlighting material has been around long before the internet. Working at a major radio station and several large music outlets, the name of the game was for us to get material way ahead of its release date. Sometimes we managed to get a hold of a ‘press copy’ of a song given to magazines months in advance. Other times it was someone inside the label ‘leaking us a song’ which we would play for a couple of days only to get a letter from the record labels lawyers ordering us to cease and decease playing their material. Many of these stations including ours would post those letters up on the wall and even frame them. It was a source of pride and demonstrated your ability to have impact. Granted the internet and us being in a digital world has allowed for unlimited copies of material to be distributed and there has definitely been rough patches with digital media and record labels, but at the end of the day all this boils down to relationships and the rule of thumb has been-know the people who run the sites and ask them to remove anything that was causing problems. In the case of these Hip Hop sites, no warning was given. Not only that, but the entire websites were seized. In some cases we’re talking about hundreds of thousands of message board postings, articles etc. This wasn’t a shut down of a website. It was the shut down of a community and no matter how one feels about copyright law and how vigorously it should be enforced shut downs without due process should be disturbing to every last one of us. What should be even more disturbing is how those shut downs took place. Who in Homeland Security was up on Onsmash.com enough to sit down and make a sound decision to shut down the site and seize its domain? How did they know the sites were in violation of any copyright? Was it the word of copyright owner? Did DHS check to get the other side of the story? Did the owners get arrested? Had they been fined or in trouble for any of this in the past? Let me paint out a couple of scenarios that folks should consider before people start puffing out their chest and acting all righteous about websites breaking the law. First as mentioned earlier take down notices should be given thus allowing one the opportunity to straighten anything out. Thats first and foremost. Second, oftentimes you have artists and even promotional folks at labels that will come along and give you material and a greenlight. I could show you at least half a dozen emails that I’ve gotten in the past two weeks with folks asking how I can get material on my site. two have offered to pay. What many of us who do this work have discovered is that what the promo guys and the artists want may not always be in lockstep with what the lawyers or the trade organization for major labels (note I said labels not artists-remember that) the RIAA is pushing. The relationship with the artists and labels are fluid and informal while the relationship with the RIAA and lawyers for the label may be strictly by the book and to the letter of the law. One often has no idea what the other is doing. End game mass confusion. The RIAA has railed against copyright infringement before there was an internet. 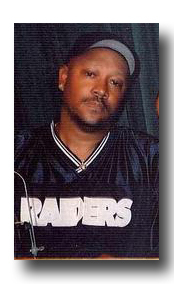 They were mad about cassette tapes, then DATs, then CDS and now the web. This powerful lobbying group has always been a presence up on Capital Hill pushing for laws that would protect the interests and intellectual property rights of MAJOR record labels. They definitely been up on the hill pushing and many say help right some of these new copyright laws, which leaves one wondering are they pointing out offending websites to Homeland Security? That’s not a far-fetched notion and should have all concerned. Corporations sitting along side law enforcement to protect whose interest? All of our interests or just theirs? Are the police and law enforcement following the dictates of corporations at everyone else’s expense. At the end of the day that’s called Fascism. 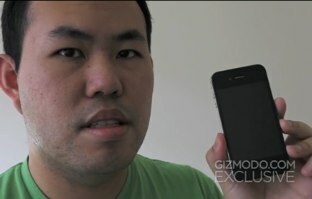 We saw blatant display of this earlier this year when a task force consisting of several police agencies called (REACT) California’s Rapid Enforcement Allied Computer Team went banging on the door of Gizmodo editor Jason Chen entered his house and took his computers to see if he was behind the leaking of Apple’s next-gen i-phones. The task force claimed they were investigating to see if a law was violated. Initially some clapped and felt the police were doing their job, until it was discovered that Apple sat on the board that oversaw the new task force that took Chen’s computers. Did the police do this because of Apple’s initial complaints or because they sat on the board? Fast forward to a troubling news story a few weeks ago here in the Bay Area where a young man had a computer stolen from his office. He had a tracking chip inside that took a picture of the thief, however local police did not immediately follow-up with an investigation. The man resorted to taking his story to local news stations and even then there was no action. Talk about an imbalance of power and influence. We did an interview earlier this week with Peter Eackersly of Electronic Frontier Foundation which has been in the forefront of protecting internet freedoms. He noted that what took place was far reaching and will continue to be so, because now the US is shutting down sites overseas. he also noted that what took place here without due process appeared to be the first step in the government with the assistance of corporate interests seeing how far they can go before they get push back. While following these cases keep a close eye on the types of steps and reaches made around the Wikileak saga. Whatever the government is allowed to get away with is gonna set a precedent. Thus far we’ve seen shut down attacks and seizures take place. Even more disturbing has been American companies like Amazon taking down the Wikileak cables. They officially say it was because of terms of service violations, but most experts are noting they got pressured. 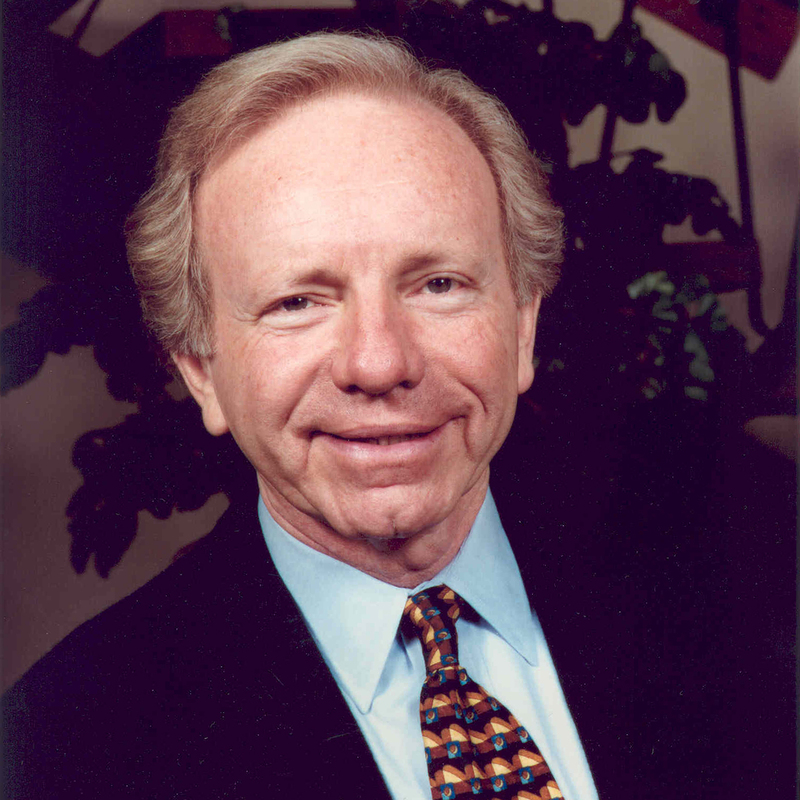 To show you just how far the government is going, look what Senator Joe Lieberman just did. He threatened a Seattle-based company called Tableau to take down information that was legal and not classified, but reported on and issued charts about who and what countries were discussing Wikileaks.. His actions prompted a scorching response from commentator Glenn Greenwald. Today its Wikileaks being taken down which one might accept it because arguments can made about sensitive material being revealed and national security at stake could be argued. But what happens tomorrow when its you or me, because we represent competition or hold political beliefs that aren’t agreed upon? What happens when its you or me and the justification is that we’ve always allowed government to take down websites without a day and court, why complain now? During our interview with Eackersly he noted that it was important for artists and others in the Hip Hop community to stand up, be aware of what transpired and come to the aid of those Hip Hop websites and communities that were shut down especially if they meant something to you. After our interview Eackersly wanted to know the type of support the seized websites were getting. In his mind, he knew such large outlets would have throngs of artists ready to go to war for them. I think he was a bit surprised to see that more of us were talking about Lil Kim vs Nicki Minaj then the undue processed seizure of music websites. Even sadder is that many have callousesly moved onto other sites as if the shut downs of Onsmash and RapGodfathers was no big deal and was just another day in the life. Mark my words not understanding this and being dismissive will come back to haunt folks. Understand this.. the seizure of websites without due process, corporate interests lobbying and then writing laws that allow them to be the police and t personally enforce, the battle over net neutrality is all about concentrating power in the hands of a few. This is about controlling the flow of information and being a gate keeper in the communications arena. Its the first step in moving a democracy toward a dictatorship. The next step is getting a population to endure fianacial upheavels and hardships. The internet was the most democratizing tool we’ve had in a long time and now those who hate having to share and be accountable are trying to shut things down.It’s a power grab of the highest order. Don’t ever get used to being oppressed..It’ll be your undoing for years to come..Stay alert be ready, because they coming for you next. One thing though, just because the domain name was seized, the site isn’t dead. Same just happened with wikileaks and their wikileaks(dot)org top-level domain being taken away. Content is still there and can be accessed by either going directly to the IP address of the server or using a service like openDNS http://en.wikipedia.org/wiki/OpenDNS. Not entirely true Jason..yes on the IP addy, bu be aware the US is and most likely will be shutting down sites even if housed in other countries..this what EFF was saying in our interview..remember this is not the govt, its corporations..working with govt..
Thats a nice way of covering up truth… by calling it conspiracy.. show me the conspiracy of not having due process.. also show me what law is in place that allows this to even take place.. I assume you did the research and ur familiar with the laws.. I’ll wait..Jose.. until then we can conclude your an apologist for fascism..
common folk and much bowing to corporate desires. Guess I’ll delete the “have some hip-hop” clips off your yuku Davey. Definately cause for some concern. Always better to protect yourself. Make sure you get legal rep. to take a look make sure your in compliance. Once you got some legal protection; go on and do what you do best. Not saying that your out of compliance; but good if you have attorney friend to check things out, keep your costs down. Jose really unnesecary comment. Don’t think you read article. I’m new to site and I don’t agree with a lot of stuff; but Dave has the guts bring sensitive issues out and have discussion. He doesn’t beat around the bush says his opinion and then peope can respectfully battle. Got it . Getting my feet wet about this issue. Need to do more study and research on the topic. You mentioned the illegal seizure of these websites as if a website is subject to property laws concerning homes and cars. 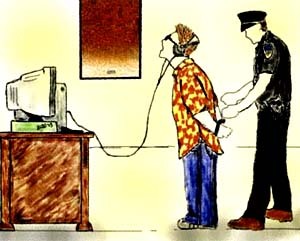 What are the actual laws concerning search and seizure of a website. Maybe the need to be changed? People are missing a big point in this debate. 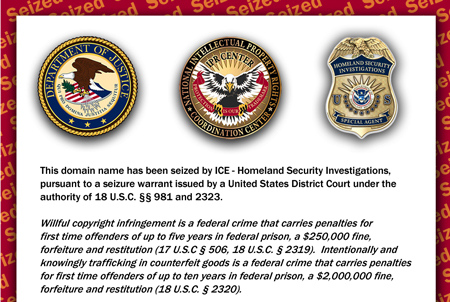 In the same week that the Department of Homeland Security seized websites and content for copyright violations due to a business lobby. Looking at their action for the week – The music industry is more important than classified information and endangered lives..
Lol, I find all of this hilarious! Please fix your use of “fascism.” It has nothing to do with corporations and everything to do with governments trying to force thought processes, especially AGAINST non-government groups like corporations. HIP-HOP WILL NEVER BE STOPPED. LOL sorry Jimbo.. fascism is dictatorship or authoritarian rule via coporate agenda.. thats long been the def..
technically this is true but only in the archaic sense of the word. in reality, us foreign policy has long been determined by a corporate agenda. now we’re seeing a clear example of this practice extending to domestic policy. but we might have to come up with a different term, as what we’re seeing has nothing to do with a head of state (or “face”) presiding over a totalitarian regime, e.g. Mussolini or Stalin. if anything we are seeing a faceless form of authoritarianism, which would technically make it neo-anti-fascism or something… even the friendly face of Obama is not directly connected to this action by DHS; this is the 4th branch at work, as Immortal Technique might say. There’s no figurehead like J. Edgar Hoover or Pol Pot or Vlad Dracula or Idi Amin or Rudy Guiliani or Pete Wilson who we can say is responsible for this business. that’s why its faceless fascism, (afascist?). I did some research concerning what drapetomaniac said and the reason that Wikileaks was not taken down by the US government is because the servers are not in the jurisdiction of the United States. Some countries, like China, have blocked the website but I don’t think that would fly over here in the United States especially since our internet is run by private industry. So, it’s kind of a false comparison to compare Wikileaks and these hip hop sites because the Wikileaks servers are not in the US. If they were, I’m sure they would’ve been shut down for leaking classified information. As a matter of fact, the guy who released the video of the helicopter shooting civilians to Wikileaks is in jail right now. Dunn where exactly did u do research? As it stands now the US has agreements with lots of folks (private bizness and countries) where things can be taken down and with net neutrality provisions NOT in place that site could be made accessible by any provider here in the US… According to lawyers at EFF.. who we interviewed they can and will be going after sites ‘overseas’.. the question will boil down to jurisidiction and what those places agree to based upon any number of things.. will there be a way to get around that of course? Just like its illegal to own a handgun in NY, but people have them..
furthermore there was no comparsion.. what was being pointed out was that there was no due process.. Who said any of the sites shut down were in violation? what notices were sent? what paperwork was seen etc? why the entire site? With wikileaks the state department has already stated that any of its employees reading it would be charged with looking at classified documents. They have already gone to several universities making the same claim. Big up Davey D for another insightful post.